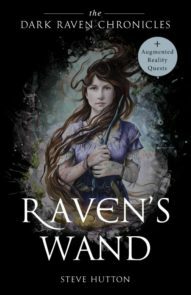 To mark the publication of Raven’s Wand’s second edition, plus the exciting features of augmented reality it now boasts, I’ve begun this chapter-by-chapter review of the book. Like the director’s commentary on a DVD I’m going to take you through the book one chapter at a time, week-by-week, revealing things nobody knows but me. We start, of course, with The Prologue ‘Delicate Threads’ and Chapter One, ‘Seventeen Shillings’. The reason The Timekeeper is a spider in an hourglass is due to the black widow spider’s infamous hourglass marking on its abdomen. I just took the visual prompt and inverted it, putting the spider in the glass rather than the glass on the spider – simple! A lot of my writing begins with pure imagery, perhaps because I was an illustrator before I became a writer. The Prologue sets the time period (‘a great revolution of coal and steel’) and confirms a sense of mystery. I’ve always been interested in the concept of freewill or fate; is it one or the other, or a blend of both, and if so who decides fate? The Timekeeper offered me the chance to explore these questions through a physical character, and I selected a spider because the concept of ‘webs of fate’ is a very ancient one. Chapter One – Seventeen Shillings. I wrote Raven’s Wand in 2008 and it was published eight years later. That gave me plenty of time to refine it (the original book was over 30% longer!) and this opening chapter wasn’t added until 2012. I felt the book needed a more explosive opening (it originally began with what is chapter two, and Valonia in her tree house) and so I wrote an account of the battle of Solvgarad, turning it from just a name that was uttered occasionally through the book into a significant moment that still haunts survivors of twenty years later. 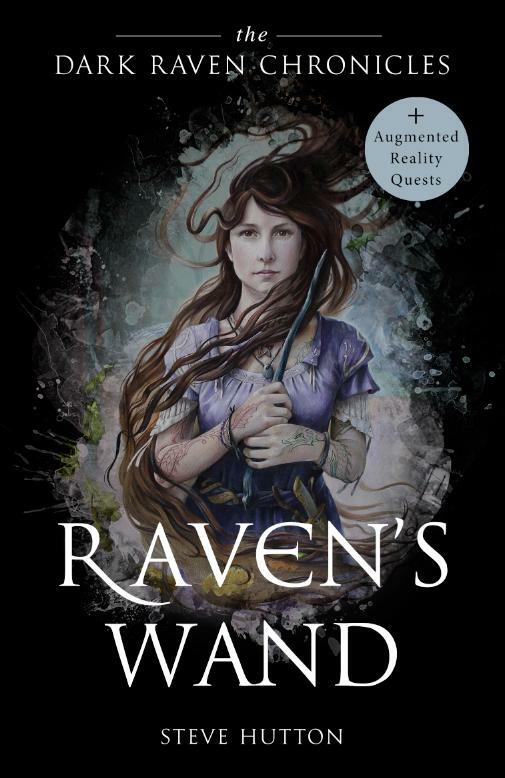 Since 2008 my writing style had become more streamlined (I’d written both ‘Flowers of Fate’ and ‘Lion of Evermore’ by now) and I liked the new opening chapter to Raven’s Wand so much that I edited the entire book to reflect this new pace and style. It’s still one of my favourite chapters, and note how poor Davey Warner fares on his 18th birthday and compare that to Kolfinnia’s 18th – perhaps eighteen is an unlucky number after all. . . This entry was posted in Wildwood - Writing and tagged Dark Raven Chronicles, Raven's Wand, Steve Hutton on November 9, 2018 by Steve Hutton.